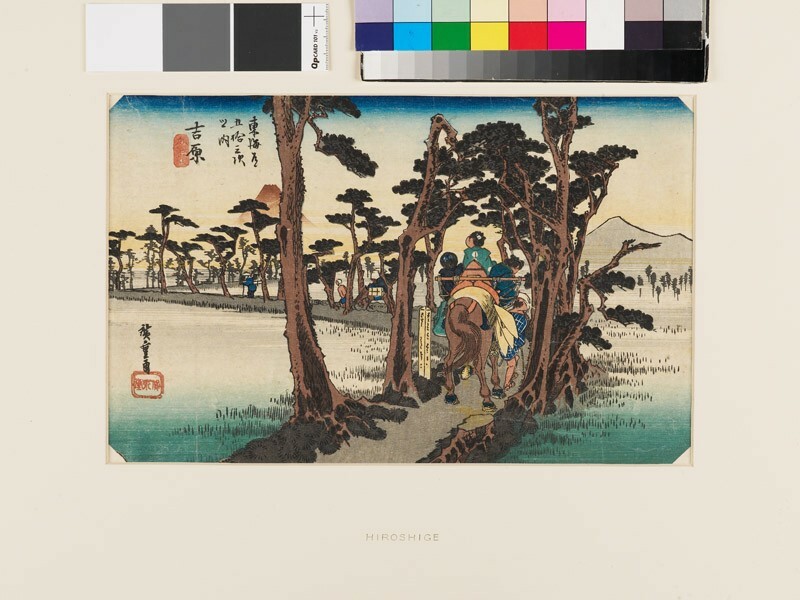 Yoshiwara is the fifteenth station on the Tokaido road (it has nothing to do with the Yoshiwara in Tokyo, the “pleasure quarter”). As the road doubles back here, Fuji is seen on the left, uniquely; Hiroshige’s print only hints at this. 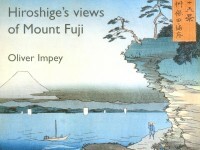 The views were always taken as if the traveller was moving southwards, from Edo to Kyoto, therefore Fuji is always on the right.